For Designers, Photographers and Creatives alike, there is nothing more important for your career than presenting your best work in a professional and easily accessible way. With these simple tips and the use of a branded USB Flash Drive you are well on your way to getting your name or business out there and thriving! 1. Make sure you include a range of work. It should be at least 30 examples with annotations. You want to demonstrate your all-round experience so don’t be afraid to include non-client work. If you buy your branded Flash Drives from us you can get all of your necessary data preloaded onto each drive. 2. Indexing your portfolio can be really helpful to the viewer. Do so by numbering your work and creating clear titles for each project or piece of work. 3. Think about whether you have answered the main questions that your target viewer will be asking such as who you are, where you are based, how much you charge and how they can contact you. Add a bit of your personality with a creative headshot to show that you're a real person with your own style and identity. Now that you have your portfolio sorted it’s time to stand out from the crowd. 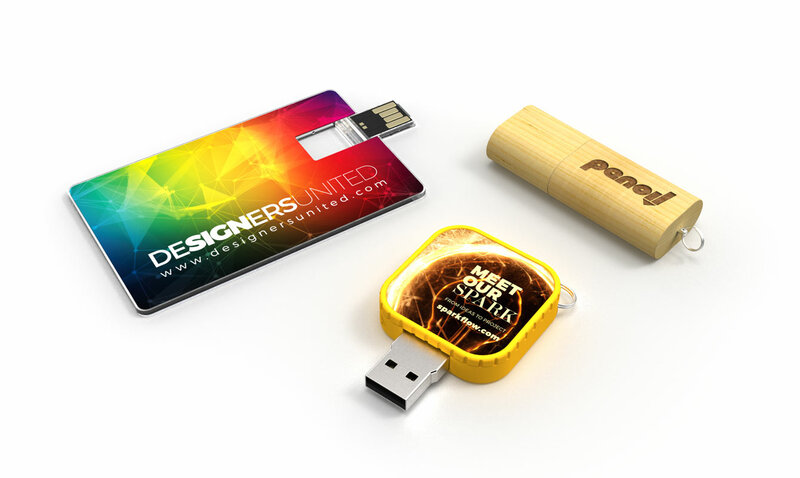 Our picks for the ‘creative souls’ out there are the Wafer, Nature or Trix USB Flash Drive models. Each drive can be branded with your name or logo and also have data preloaded onto it so each drive is all set up and ready to go. Ready to get a quote? Simple. Fill out our Quick Quote form and one of our Account Managers will be in touch as soon as possible. I've forwarded your email address onto an Account Manager here. They'll be in touch with you shortly.